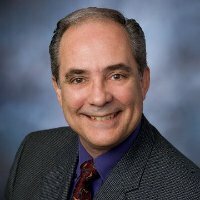 Ed Schoaps is a senior strategic communications strategist for business, government and nonprofits. Schoaps brings a strong track record of delivering strategic communications and public engagement for complex projects and issues. He builds understanding and goodwill among internal and external stakeholders and the public to support key business strategies, worthy causes and initiatives. He's an expert at translating complex issues into simple language and engaging presentations. And he builds positive relationships through personal outreach to key stakeholder audiences. Schoaps delivers award-winning, quality, timely public relations programs and initiatives for private businesses and leading government agencies. He brings a strong human element to communications and outreach through traditional, digital and social media engagement. Schoaps led the public involvement and outreach team for Oregon’s 10-year, $1.3 billion bridge program, in which the Oregon Department of Transportation rebuilt hundreds of highway bridges statewide through 2014. He also led strategic messaging and stakeholder outreach for the Oregon International Port of Coos Bay and the CH2M Hill Plateau Remediation Company at the Hanford Nuclear Reservation in eastern Washington. Schoaps has supervised, managed and delivered public affairs, communications, media relations, public engagement and online communications for the Oregon highway, public transit, aeronautics, motor vehicles, motor carrier, state parks, economic development and energy departments. He was the chief public information officer for the Oregon Department of Energy’s emergency response team for the Trojan nuclear plant. As a staff member of the Oregon Transportation Initiative Steering Committee, he helped Gov. John Kitzhaber develop new investment strategies for Oregon’s aging highway system. He serves on nonprofit boards and led a $1 million capital campaign for a community nonprofit in his hometown of Salem, Ore.
Specialties: Public affairs and intergovernmental relations, policy development and strategic communications, public and stakeholder engagement, digital and social media engagement, editorial and media relations, special events, publicity and marketing, legislative relations, testimony and speech writing, crisis and issues management, project management and television, radio and video production for business, government and non-profits.